With a superb combination of optics, performance, advanced features and a durable design, the EF 85mm F1.4L IS USM is an outstanding L-series medium-telephoto lens. 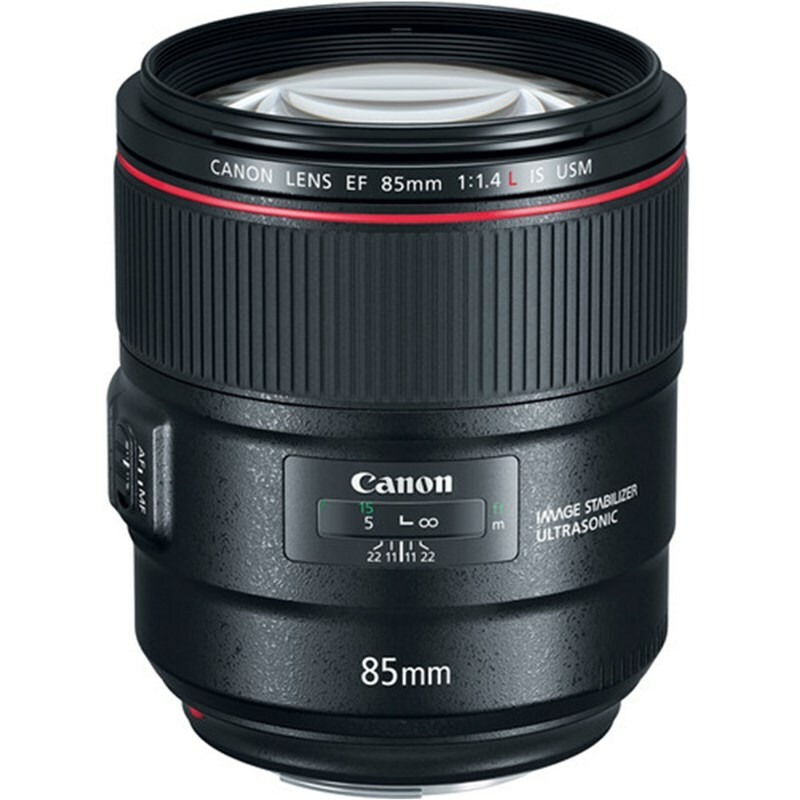 As Canon's first 85mm L-series lens with IS capability, it has an advanced optical formula with a large-diameter aspherical lens, plus a bright F1.4 maximum aperture to deliver gorgeous, sharp and detailed images suitable for virtually any application. 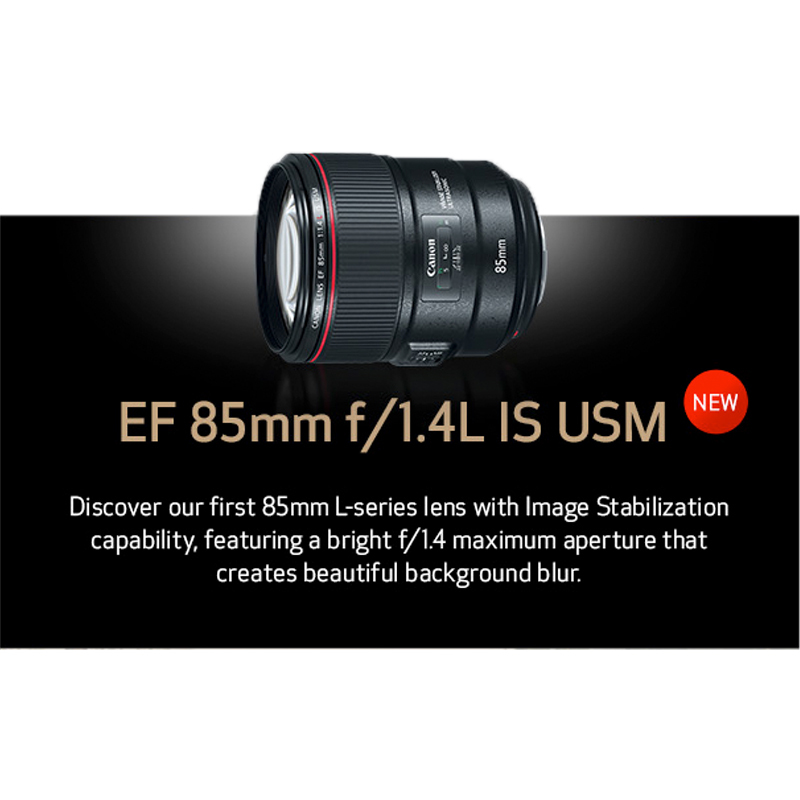 The all new EF 85mm F1.4L IS USM Lens also incorporates a four stop-effective optical image stabilization system that minimizes the appearance of camera shake for sharper handheld shooting. A ring-type Ultrasonic Motor (USM) also affords quick and accurate autofocus performance, along with full-time manual focus override for fine-tuned control. Additionally, as with all L-series lenses, this 85mm F1.4 has a dust- and weather-resistant construction, as well as a fluorine coating on exposed elements, to benefit its use in harsh environmental conditions. It is engineered to help render crisp and clear images. For high-contrast images that remain sharp from corner to corner of the composition, it features a molded glass (GMo) aspherical lens, and the Image Stabilizer lens is coated with Canon's Air Sphere Coating (ASC) technology for significantly reduced flare and ghosting from reflected light.